We are a leading Manufacturer of hydro prokav progressive cavity pump, helical rotor pumps, progressive cavity pumps, ptfe acid injection pumps, dosing pumps and wide throat pumps from Nagpur, India. 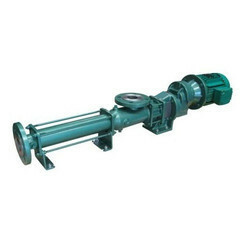 We are leading distributor and supplier of Hydro Prokav Progressive Cavity Pump. We are looking inquiries from Vidarbha, Chattisgarh And Madhya Pradesh Area Only. 1. Wide Range Of Sizes. 2. Wide Range Of MOC. 5. Suitable For Slurries And Abrasive. As a noteworthy entity of this domain, we are engaged in manufacturing and supplying the best quality of Helical Rotor Pumps. 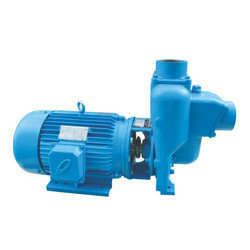 For pumping of fluids from place to another, the rendered helical rotor pumps are used. Easy to operate, compact design and excellent pumping efficiency, makes the helical rotor pumps highly demanded. Capacity: 200 m3 / hr. We are the leading supplier of an excellent quality range of Progressive Cavity Pumps. These are applied in various industries, the progressive cavity pump has been used as fluid transfer pump for years. These progressive cavity pump have the ability of pumping or transferring high and low viscosity products, with or without solids or long fibers, in suspension. Product remains unchanged during pumping process. Owing to our rich experience of this domain, we are engaged in manufacturing the best quality of PTFE Acid Injection Pumps. For pumping and transferring of high volume of liquids, the rendered PTFE acid injection pumps are used. As the market leader of this domain, we assure that the premium quality of the rendered injection pumps is never compromised. From the first day of our inception, we manufacture and supply the premium quality of Dosing Pumps. 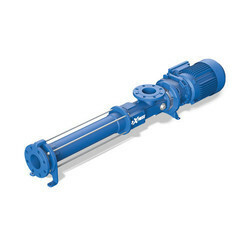 Used for high volume liquid dosing and pumping applications, the rendered dosing pumps are known for their high pumping capacity and rugged construction. By using cutting-edge machinery, we manufacture the rendered dosing pumps in accordance to the industry laid norms. Leveraging by the vast experience of this domain, we manufacture and supply the premium quality of Helical Rotor Pumps. Known for their easy operation and high pumping capacity, the helical rotor pumps are used in different fluid pumping applications. To meet the precise needs of our clients, we render helical rotor pumps in various technical specifications. Being the market leader of this domain, we manufacture and supply the premium quality of Wide Throat Pumps. Valued for their optimum pumping capacity, rugged construction and less power consumption, the rendered wide throat pumps are used for pumping of fluids from one place to another. Motivated to attain maximum customer approval, we assure that the quality of wide throat pumps is never compromised. 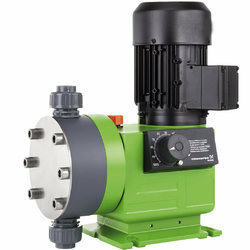 Keeping the track of latest happening of this domain, we manufacture and supply the premium quality of Diaphragm Pumps. Rendered by us at cost effective prices, the rendered diaphragm pumps are used for pumping of high volume of liquid from one place to another. 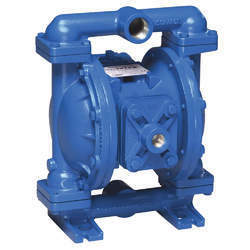 Our clients can avail the diaphragm pumps in user-defined specifications. From the first day of our inception, we manufacture and supply the premium quality of Single Helical Pump. Owing to its excellent pumping capacity and ease of operation, the rendered single helical pump is used in pumping of low viscous fluids. The quality of the rendered single helical pump is always maintained at our end.